On Wednesday I had a substitute teacher. I left this drawing assignment for the 2nd graders to complete. Divide your paper in half. On one side, draw what you imagine your life to look like when you are 30 years old. On the other side, imagine how your body will look when you are 70. What will your life be like then? I got this idea from Teaching Drawing From Art. This book is from 1988 and only has black and white pictures, but I loved reading this book. I got a lot of great ideas for drawing lessons for kids. As part of my professional development plan, I am researching how to teach sequential art skills. Drawing from imagination is one of the components of a strong drawing curriculum. Patchwork Animals To connect again with literature, the kindergartners read the book Elmer, by David McKee. 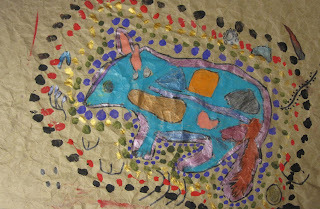 Using squares of colored paper and patterned paper, they are making their own patchwork animal. The objectives of this project are to 1) Define, identify, and use a variety of patterns and colors in a collage 2) Show unity by using similar colors in a picture and 3) Create works of art inspired by stories and themes. Thanks for this award! I know these awards go around the blogs and it is a really great way for people to connect and find new blogs. Here are 7 crazy, exciting things about myself: I'll try to add some different things besides the usual. 1. This will be my 9th year teaching art, my 5th year at my current school. 2. 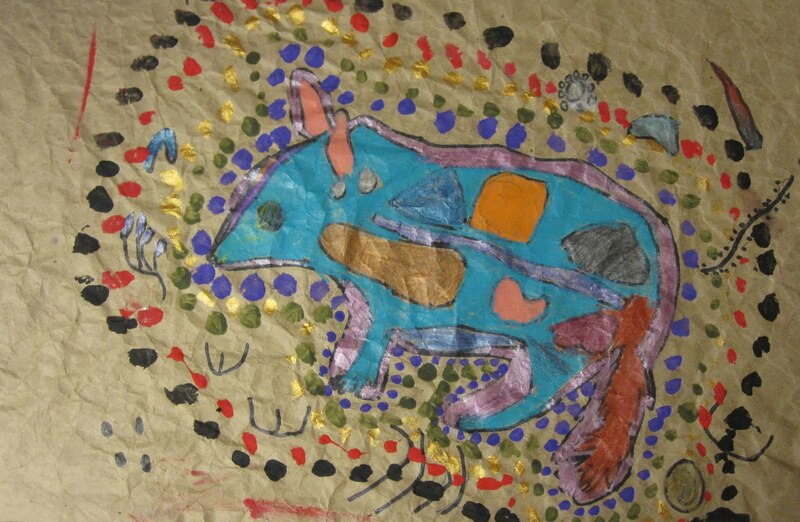 I teach at K-6 art at a private school, for academically gifted and talented students. 3. I love chocolate. I'm addicted. I seriously have some sort of chocolate every day, even if it is just one little wrapped piece. 4. I'm also addicted to diet pepsi. I know that's not the greatest for you, but I love it. 5. On the flip side, I'm also a super duper fruit and veggie eater. I usually have about 8-10 servings of fruit/veggies a day. Pretty much anytime I go out to eat I get a salad. 6. This summer is going to be awesome! 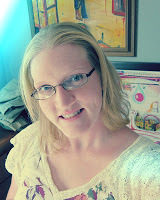 I have signed up for a watercolor painting class for myself and a baby/parent art class for my daughter and I. 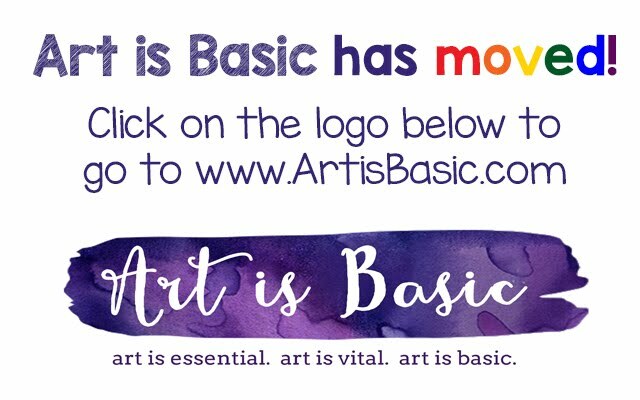 Now, to pass along this award to other fun art bloggers!! So, if you get this award, be sure to "thank the person who gave it to you" and link back to them. Then, tell us 7 things about yourself and then pass the award on to some of your favorite blogs. 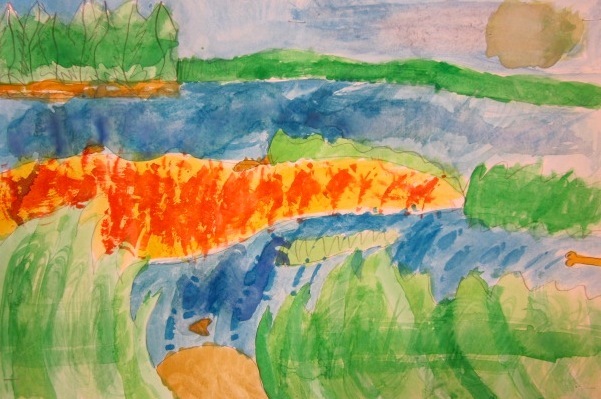 Australian Art: In April, the second graders learned about Australian art. 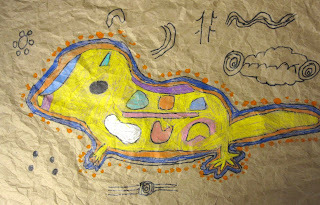 Animals were drawn similar to Australian Aboriginal drawings showing the animal's bones, organs and muscles as well as the outside normally seen. Some of the oldest Australian art was created on tree bark. 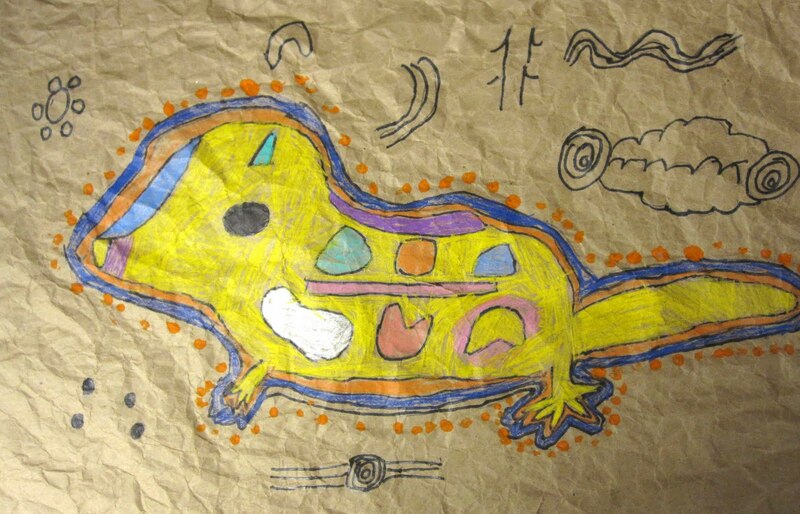 The students created the same likeness of 'tree bark' art on brown butcher paper. We wrinkled them and then ironed the sheets. The students tried to emulate the Australian Aboriginal style of dot painting. We used the back end of paint brushes and toothpicks to make our dots. We watched two short video snippets about Australian art. The other weekend, I went out for a Girls' Night Out at our local paint your own pottery place. 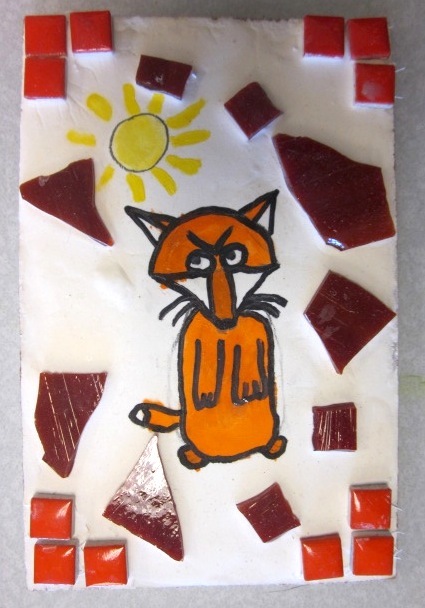 They also do glass fusing, which I excitedly tried for the first time. It was a blast! We were able to bring our own wine and snacks and we all decided we were going to go back for another night out. This is something we could actually do at my school with our kiln. I just have to figure out temperature controls and buy some glass cutting tools. There is a way to pre-cut the glass and melt it into little pieces, so when the kids use it the edges are rounded. Have any of you art teachers done this before? Do you have any tips for this type of project? What we did at this store was assemble our designs with little pieces of glass, using tweezers and glue. After it was glued together, they fired it and we picked it up a week later. Here are mine! The duck on the left I made because Daria's room is decorated in ducks. This pendant I'm keeping for myself. The other two pendants I'm going to give for gifts for Mother's Day. 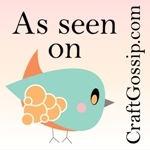 Did you know google reader has a maximum number of blogs you can follow? Did you know the maximum is 300 blogs? I reached 300 blogs that I'm following and had to cut some out. So, anyone who doesn't post frequently unfortunately I had to stop following. Google reader makes it so easy to follow blogs and get them in a nice straightforward feed. 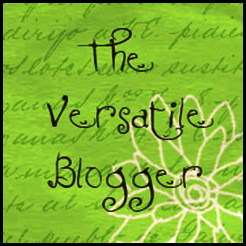 How many blogs do you follow? It is Spring Break now! My baby Daria is sitting here coloring with crayons and eating pretzels. She's trying to color with the pretzels too. And because an art teacher can't post a blogpost without a picture, here is a picture of one of my art journal pages. What I did for this page, was take a colored photocopy of one of my previous watercolor paintings, then sketch a giraffe on the page. Next, I took black acrylic paint and painted around the giraffe. Then, using paint pens and oil pastels crayons, I doodled on top. The white splotches are gesso painted areas. Before it dried, I took a pencil and drew into the wet gesso to make patterns. And here is a book that I recently purchased. I really dig Sarah's artwork. American Landscapes The 3/4s learned about Colonial times and Westward Expansion. The students watched a video about American landscape artists during the 19th century and they painted their own landscapes. One of the goals was to use inspiration from the environment to create a painting. The students chose a landscape scene from Wisconsin or a state they have visited. Painting lessons include how to add texture with a fan brush, how to mix colors and how to add shadows on a mountain. Fun Activity for Toddlers, Special Needs or just any child! As art teachers, we often talk about how the process and the manipulation of materials is the main goal. The product is nice too, but it's the process that matters. That is where the learning occurs. I'm really excited to have my own personal little art student in my house. 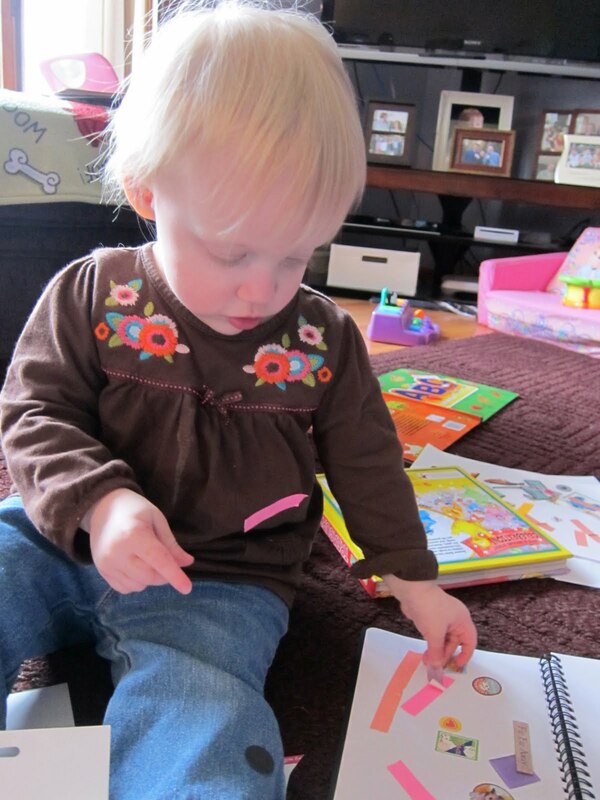 I just can't wait until she is old enough to do even more art making. 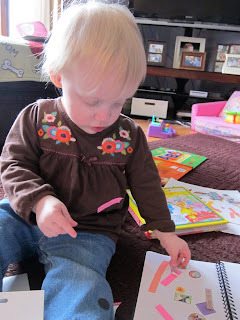 Here is a really fun activity that my 18 month old loves to do: making sticker and tape pictures! I peel off the stickers and she arranges them on the paper. 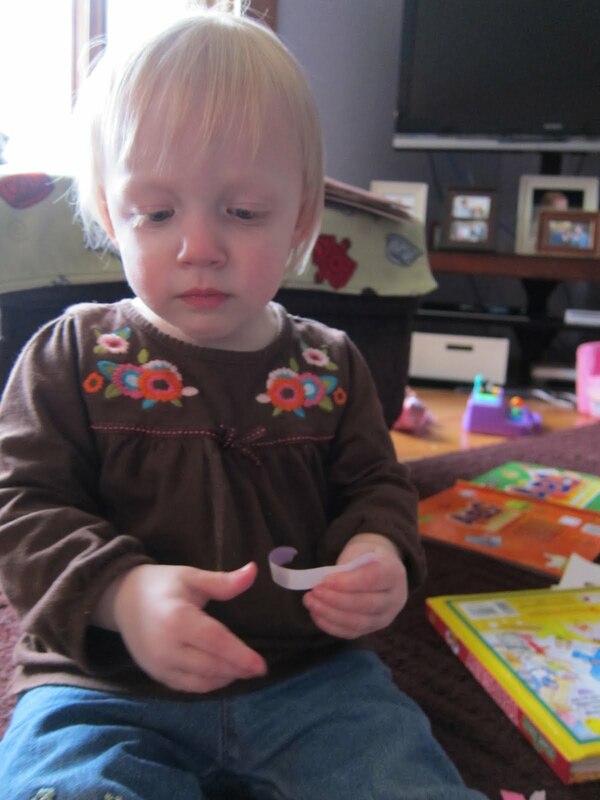 It is really great for her fine motor skills to try to manipulate the pieces to stick down. 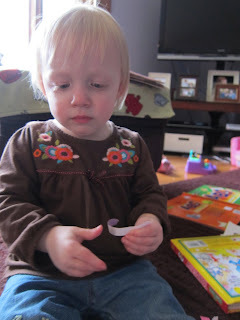 It is fun to watch her attempting to get the stickers off her fingers. I bought some colored tape to use as well, which makes interesting designs. Older kids would love to play around with this as well and special needs children could enjoy manipulating the tape to create pictures also. I have a friend who used to teach students with low cognitive/fine motor skills and she would tell me about how the aides would work hand-over-hand to do projects with them. This might be an activity that could be done in a classroom with students of varying abilities. I'm thinking with children older than 2-3 years, they could arrange the tape to make designs, add paint and other collage images and doodle around and on top of the tape. 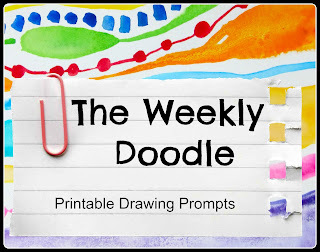 I will try it out as an extended "free choice" activity for early finishers and show you later what they come up with. One of my favorite art journalers, Kelly Kilmer, uses decorative tape frequently in her artwork. Monochromatic Rhythm Painting The third graders are learning about how rhythm is used in art. Rhythm is a principle of art that's difficult to summarize in words. Assuming that you've picked up on a rhythm in music before, take what you heard with your ears and try to translate that to something you'd see with your eyes. Rhythm, in art, is a visual beat. They made a drawing using lines to show rhythm. 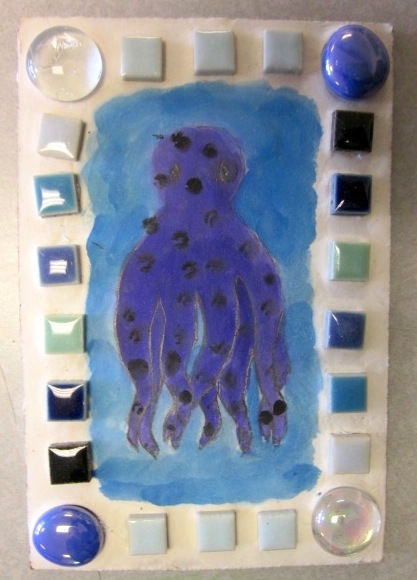 Then, they mixed tints and shades of ONE color to make a monochromatic painting. Some of the kids found the gold paint and thought gold would make nice accents. Although it no longer becomes a true monochromatic painting, that touch of gold makes it look dazzling! The 4/5s (4th/5th graders) learned about Greek and Roman mosaics and frescoes. We poured mosaic cement onto masonite boards and then placed our mosaic tiles onto the cement. When it dried, we painted with watercolors on top. A few of them cracked a bit, so next time I will probably try using plaster. First, we read the book Rainbow Fish. Then, the kids drew pictures of fish. Next, we colored them using neon crayons and regular crayons. Color REALLY hard and thickly. Demonstrate this to the children so they see how to color darkly. Next, paint with watercolor on the background, to fill in the water. The paint will resist. We used these watercolors. They give a bit of sparkle/glimmer. Not a lot, but a nice touch when you look at it up close. We also used regular watercolors as well. The kids could choose what kind they wanted. Finally, after all was dry, we added sequins with glue and outlined the fish with black paint. Aren't these great? Combining literature and art is one of my favorite things!